Lakewood Trails Neighborhood Association seeks to improve the overall appearance of our community by encouraging neighborhood beautification. 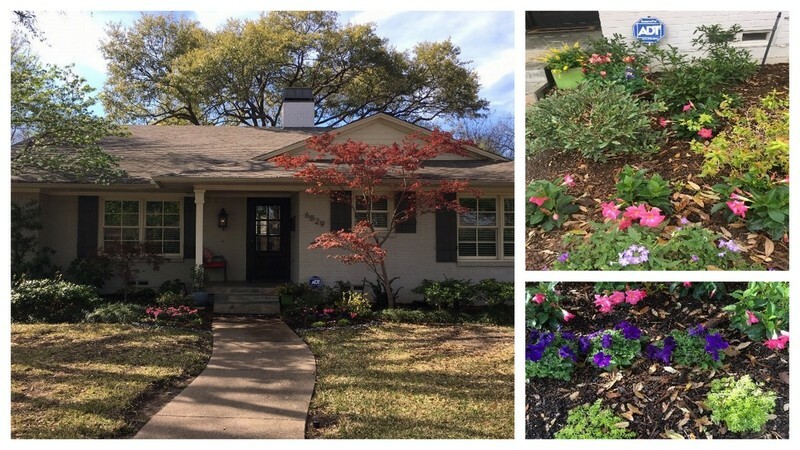 The Yard of the Month program recognizes homeowners who add beauty to our neighborhood with the landscaping and maintenance of their yards. The Yard of the Month will be provided with a decorative yard sign for display in their yard and a $50.00 gift certificate provided by North Haven Gardens. An announcement and picture will be emailed to the neighborhood as well as posted on the Lakewood Trails website and Facebook site. We want to thank North Haven Gardens for their sponsorship of our Yard of the Month program and their generous contribution of gift certificates for the winners. For upcoming classes, newsletters and plant lists from North Haven Gardens, click on the Garden Education tab at nhg.com. Judging will be based on ‘curb appeal’ considering front and side yards only as viewed from the street. Judging criteria include: overall appearance and appeal, well-maintained yard, originality and creativity of landscaping, and use of color and/or texture. The same property cannot receive the Yard of the Month award twice within a 24 month period. Judging will be done by the Beautification Committee of the Lakewood Trails Neighborhood Association. The current month’s winner may accompany the committee to judge the following month’s winner. Please submit any nominations for consideration by emailing Garden@LakewoodTrails.net. Lakewood Trails Board members and Yard of the Month committee members are not eligible for this award.